The award-winning ensemble, AlmaNova, is an innovative flute and guitar duo presenting an eclectic program of chamber music. 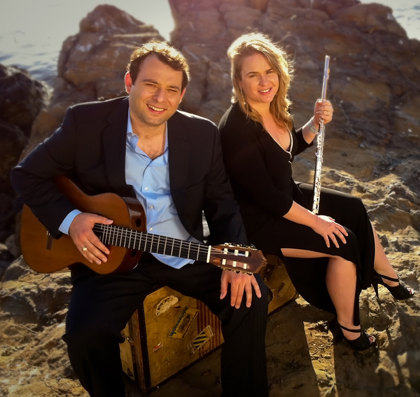 Flutist Jessica Pierce and guitarist Almer Imamovic are both masters of their instruments elevating the flute and guitar ensemble to the highest level of virtuosity and artistry. Their live performances are filled with energy and passion creating a "...graceful, intuitively choreographed display of seamless connection." (Fresno Beehive). AlmaNova met in France while studying at the famed Ecole Normale de Musique de Paris. They continued their graduate work at the Royal Welsh College of Music and Drama and the USC Thornton School of Music. Since then they have had the privilege to perform extensively throughout the world including recitals in Paris, London, Sarajevo, Stockholm, Tijuana, San Francisco, Los Angeles, Chicago, New York, Kansas City, and San Diego. 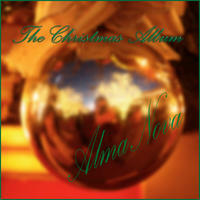 In 2011, AlmaNova will begin their first tour of Japan. AlmaNova's recordings have been described as "...pure musical pleasure" (Flute Focus Magazine, 2009) and have received much critical acclaim. Their first CD recording Debut features original works by Mr. Imamovic inspired by the sounds and folk melodies of his native Bosnia. It was recently honored by the largest worldwide independent music organization, Just Plain Folks, receiving Best Instrumental Album, 2009 as well as Best Instrumental Song, 2009 for "Sarajevo Nights". Their second CD, Classic Giulian was awarded Critic's Choice, 2008 by American Record Guide calling it "...some of the best [Giuliani] I've heard". 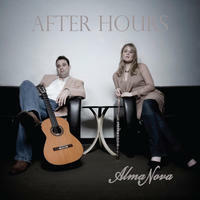 Their newest release, After Hours, explores the music of Macedonia through thoughtful arrangements and more original compositions by Mr. Imamovic and Ms. Pierce. Jessica plays Sankyo Flutes and Almer plays Kenny Hill Guitars exclusively. AlmaNova lives in California, USA. Tagged as: Classical, Neoclassical, World, Folk, Instrumental, Balkans, Flute, Classical Guitar.